This full-length, A-line gown features a deep sweetheart neckline bodice with the most intricately beaded lace details and a tulle insert for support. The gown is fitted at the waist and enhanced with a pleated organza band. 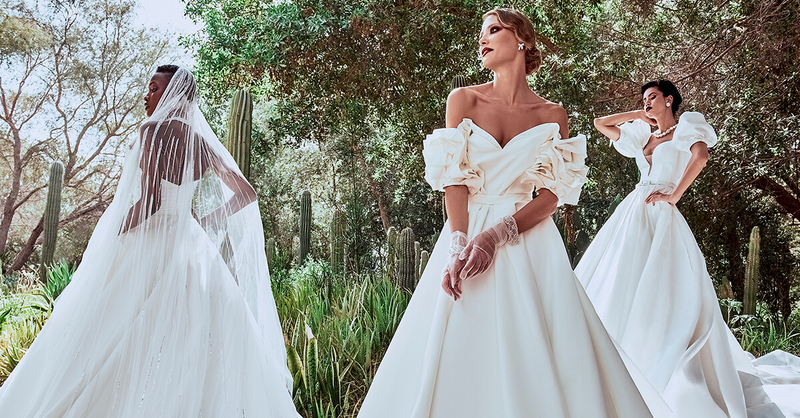 The soft organza skirt is sure to hypnotize as you make your way down the aisle, while the detachable train adds extra glamour, volume and drama. Complete with an invisible back zipper closure.